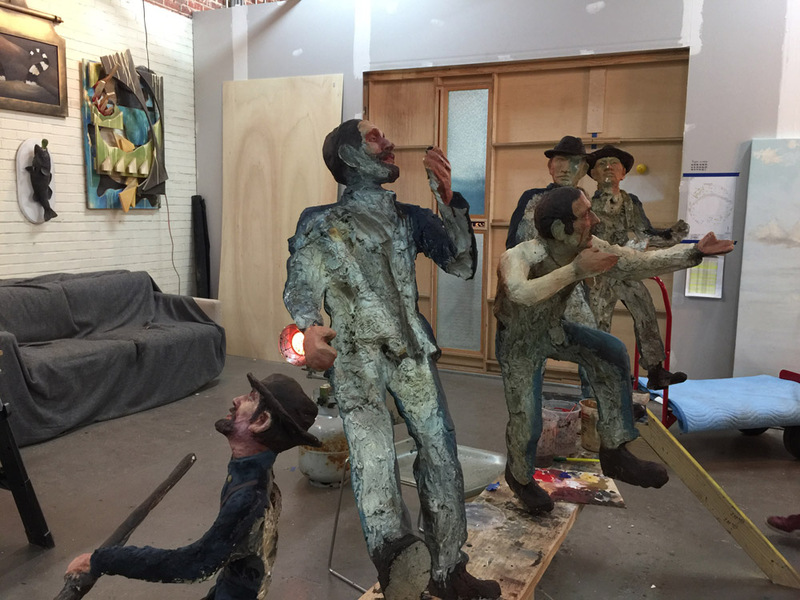 Recently I was given the chance to go see the restoration of the sculpted figures from the Atlanta Cyclorama. 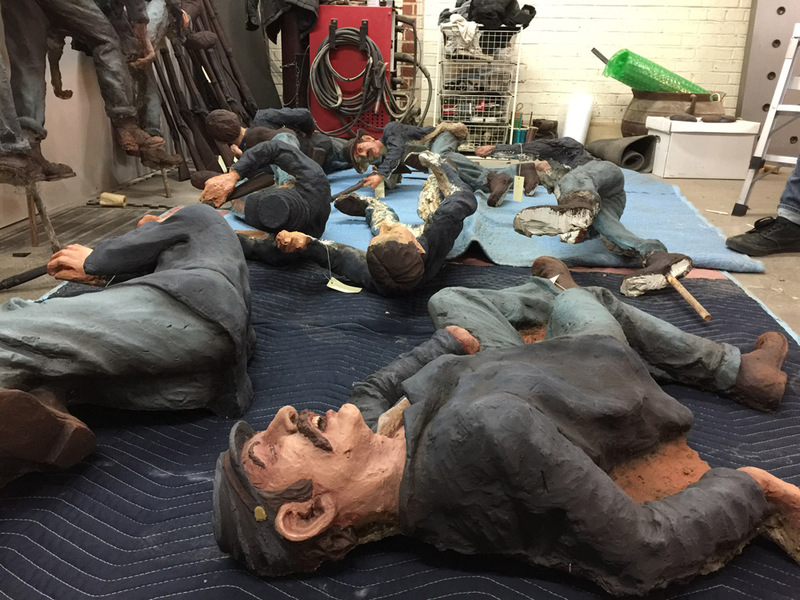 They are being restored as part of the massive project which will be a completely redone Battle of Atlanta Cyclorama scene now housed in a new custom building at the Atlanta History Center. 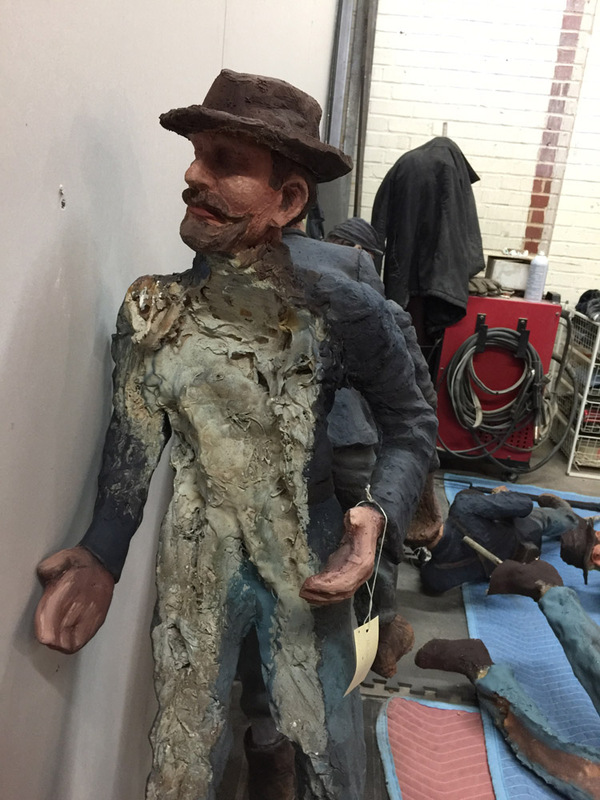 The figures have been carefully cleaned, repainted and in some cases rebuilt by a great artist named Joseph Lazzari and assisted by a very skilled Marcy Starz. 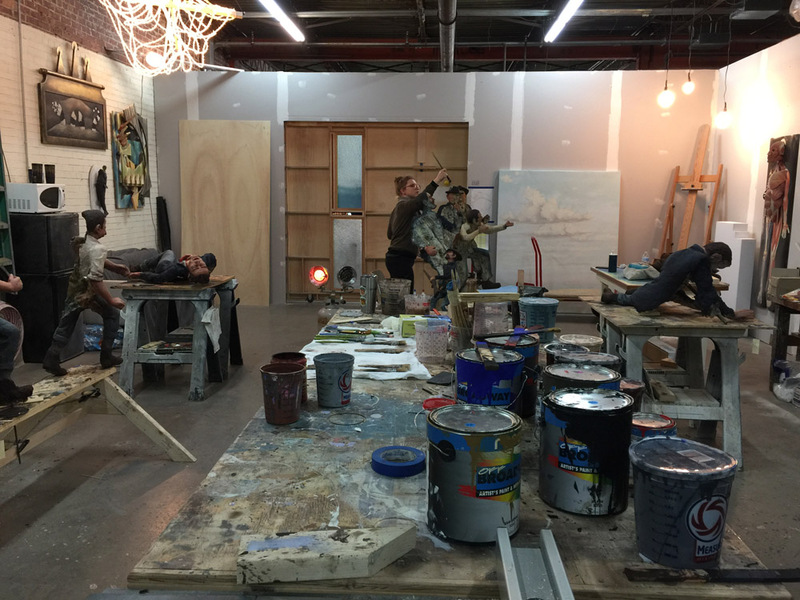 I walked around their workshop studio in East Point and got to see all they working on and the process. I was very impressed by all I saw. The figures were only 3 or so feet tall. They were only painted and finished on the side that the cyclorama visitor would view them from. They are all about a hundred years old and some have been poorly retouched over the years. In the new building, with a completely rebuilt and restored facility, they will live a much better life and be protected better from the elements over the next decades. Thanks again to Joseph for showing me his skilled artistic labors. Now I will go back to painting with a frayed sad bush at my studio. I look forward to seeing the figures installed at the Atlanta History Center sometime soon. I sure was amazed. 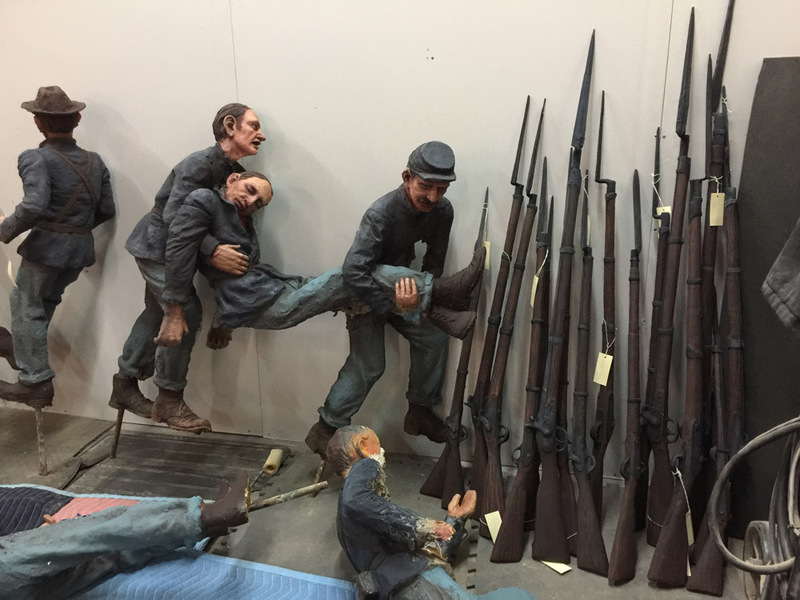 This entry was posted in Uncategorized and tagged art restoration, atlanta history center, battle of atlanta, cyclorama, cyclorama figures, joseph lazzari. Bookmark the permalink.